The transmission system is one of the most critical parts that make your car fully functional. Any damage to the transmission can lead to a permanent breakdown of the engine. Transmission is not very hard to maintain as for transmissions service all you need is regular checks and oil changes. 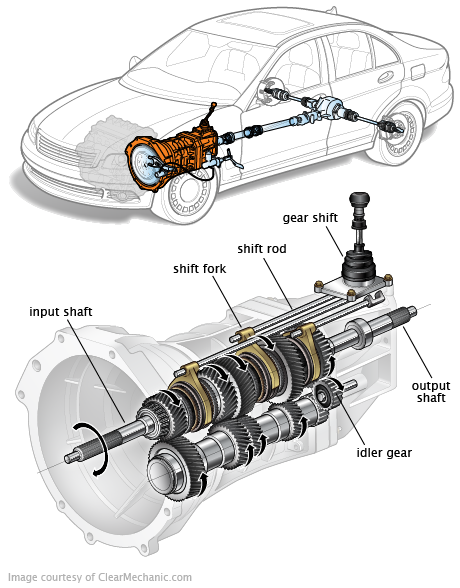 In order to determine the value behind auto transmission service we need to explain how the transmission system work. Basically, the transmission increases and decreases torque from the engine through manual gear operation or torque conversion. We are all familiar with manual gears, while torque conversion refers to how automatic transmission cars work. Cars that run on manual gear, in average have 4-6 gears, as the highest gear holds a 1:1 or less drive ratio. Automatic transmission, however, uses transmission fluid to maintain the torque from the engine. Any transmission oil dysfunction can lead to engine damage as friction increases and thus oil cannot lubricate the transmission process effectively. Therefore, it is of vital importance to have regular automatic transmission service done. Having explained how transmission effects car engine, another question arises – How often do we need to do transmission service? The best answer to this is it depends. It depends on how you drive your car, where you drive it and how well you look after it. More precisely, operating temperature of the engine is what determines on how long will transmission fluid last, and when you need to take your car for a transmission service. For instance, usual life expectancy of transmission oil is 30 000 miles, if it runs on a 215 Fahrenheits. But as car temperature varies due to many external and internal factors, it is almost impossible to measure life expectancy. Therefore, many auto mechanics will advice you to do regular oil change and auto transmission service on every 30 000 miles or more. Additionally, if you’d like to avoid payments for transmission service, you can do the service yourself. There are three ways of changing transmission fluids. The most common way is really simple as you only need to open car’s hood, remove the transmission pan, drain the old fluid, and replace it afterwords with the new one. The alternative way is not really a one-man job. Special machines are used to drain the old fluid to the last drop and release the new one so that no abnormalities appear later. Hopefully this article will help you understand how transmission works and why it’s so important you take your car for regular auto transmission service.